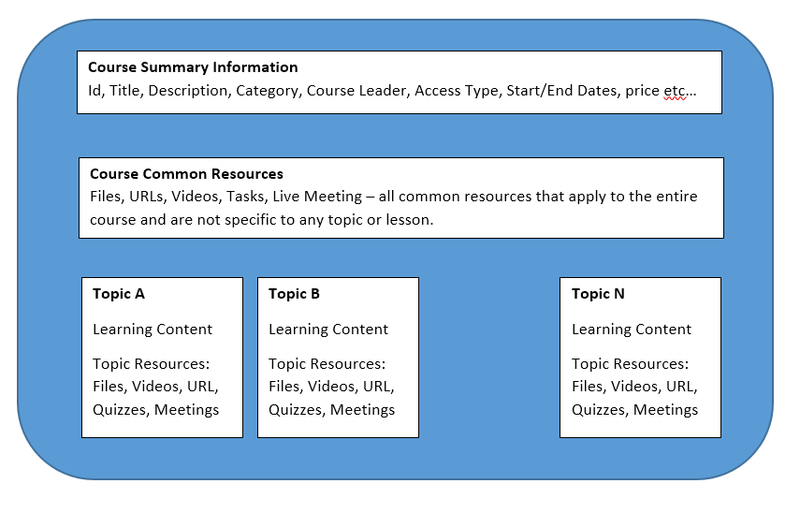 This article discusses the course structure and representation formats of course content created with Electa Live LMS. Each course consists of one or more sections often called topics. The course sections (topics) are learning content holders of the course lessons and study material. All Electa Live courses can be visually presented in one of the following formats: Weekly Format, Topic Format or Section Format. When in this format the course is organized week by week, with a start date and a finish date. A separate section is created for each week of your course. You can add content, files, lessons, quizzes, live sessions, and so on in the section for each week. This format is suitable if you want all your students to work on the same materials at the same time, this would be a good format to choose. Important Make sure your course start date is correct. If it is not your weeks will have the wrong date on it. This is especially important if you are restoring a course to use with a new section of students. Students can only see one week at a time. Optionally the course creator may specify a time frame of each week making the respective course visible only during a certain time frame. Course weeks do not have to necessarily match calendar weeks. The course is organized into topics. Each topic-section has a title. Each topic section consists of activities, resources, files and so on. This format is suitable if your course is objective based and each objective may take different amounts of time to complete. Students can work on each topic at their own pace. Optionally the course creator may specify a time frame for each topic, thus limiting the amount of time students can spend on certain topics. Similarly to the above - this course consists of multiple sections. Actually the only difference is that all sections are visible at the same time on one page. This format is suitable for courses which consist of a few important topics which have to be accessible by students all at the same time. Video courses are simple courses with one or more sections which only contain video. For each section you may have a title/topic, some description and a video file embedded into the section. The description is displayed below the video window. You may also attach course resources as you can do with other types of courses. Technically you may have courses with no weeks, topics or sections. In this case the only visible section will be the Common Course Resources. This is where you can publish files, links and other resources. The format type is selected when creating the course summary part. 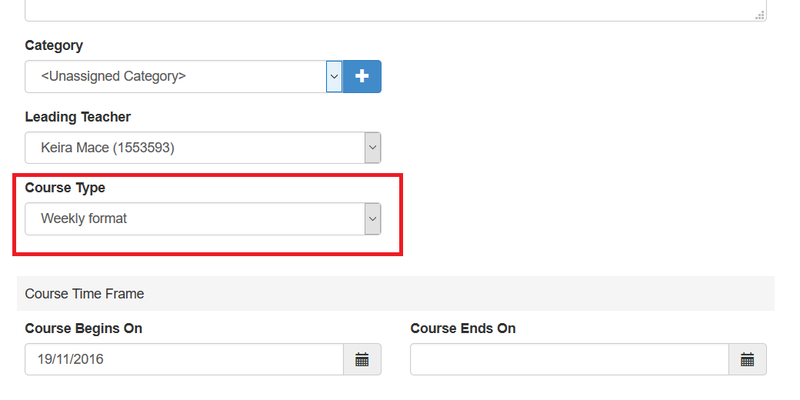 The course format type can be changed at any time even for courses with existing content.